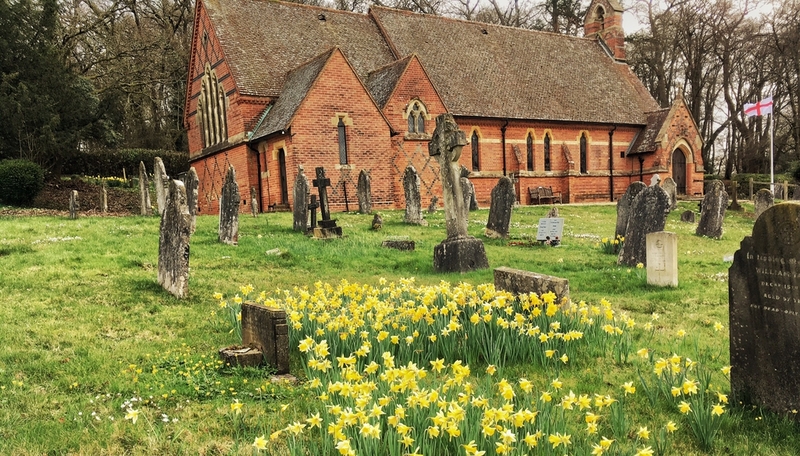 Our vicar, The Reverend David Potterton, presides at this service which follows the format and Calendar of Common Worship and uses traditional language. A lay-led Common Worship service with hymns and traditional language. 9 am - Thirty minutes of gentle reflection and prayer with our vicar - The Reverend David Potterton. Meet our vicar, David, in the New Forest Inn for a cuppa and a chat after STILL. A lay led service of prayers and responses, with a Celtic influence, based on a format devised by The Northumbria Community. 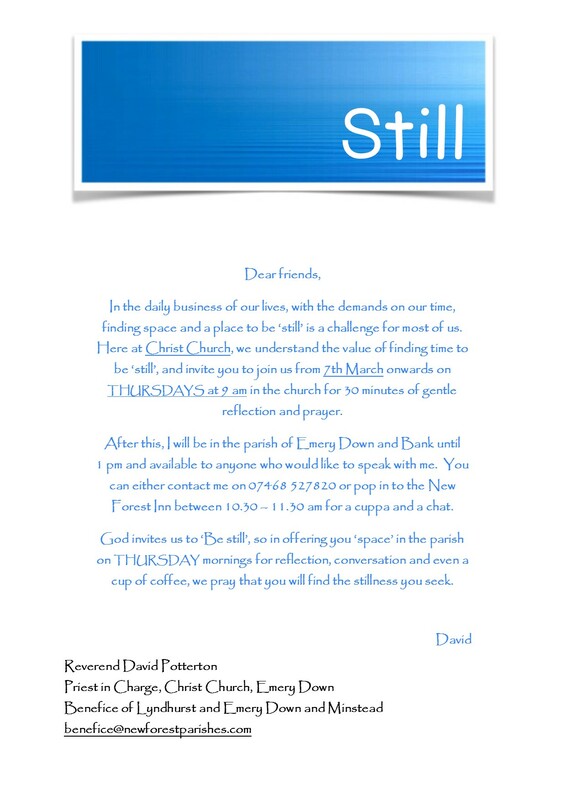 Please stay for coffee, cake and a chat after the service.